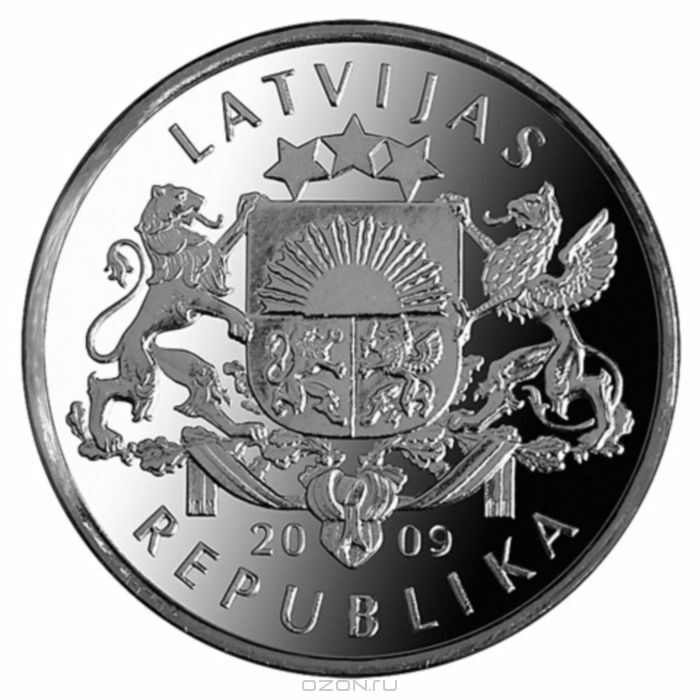 The large coat of arms of the Republic of Latvia, with the year 2009 inscribed below, is placed in the centre. The inscriptions LATVIJAS and REPUBLIKA, each arranged in a semicircle, are above and beneath the central motif respectively. 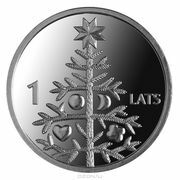 A decorated Christmas tree is depicted in the centre of the coin, with the numeral 1 and the inscription LATS placed to the left and right of it respectively.